In this third blog post on 246 Unley Road I am going to expand on my observations of how this development project, if it proceeds, will inform the future. In my last blog post I noted how it will inform us of the built form of the future and how the Government’s DAC will treat development applications compared to how Council might have. 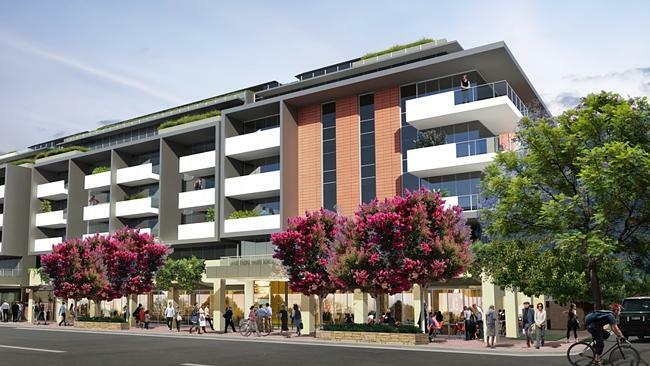 This project and the public reaction to it thus far is also informing Council and the Government as to how to approach the Unley Central Development Plan Amendment (DPA) that will commence in the near future. Yes there is some truth in the Eastern Courier storey this week titled “Unley’s heart to hit new heights”. The push by the developer of 246 Unley Road has signaled a need for us to be discerning when we set height limits in the Unley Central area. That is notwithstanding there is currently no height limit imposed outside of the airport flight restrictions. There are two issues here. The first is obviously what can be considered a responsible height ceiling for future potential development in Unley Central. The second is how we engage our community in making this decision. It is important that the community recognise that we need a conversation to set a ceiling as there is none now and developers therefore seemingly have cart blanch to do what they want, albeit without any residential accommodation. I trust everyone agrees within this. I have oft said that this DPA should have proceeded before all the others. Now it will be following a development application in the corridor zone that pushes the parameters set fr that zone. What people see with this development may impact on the way people relate to the DPA. How the government through the DAC responds to the 246 Unley Road application will have a big bearing on how the public views our pending DPA. The Government will be keenly watching our public consultation. They can influence the outcome by a reasoned and appropriate decision by DAC on 246. The committee I referred to in a recent blog post that I will be chairing will have the responsibility to advise Council, not only on the form of the DPA but public consultation on it. This will occur once the committee has been formed and met for the first time. On that score interviewing of the potential independent members of that committee will occur by a small group including myself shortly. Recommendations for appointment will be put to Council for endorsement at it’s next meeting at the end of this month, 23 February.